Eyelash extensions have become a popular aspect of our society, with celebrities and common people alike. When you want the best eyelash extensions that will make you look more luxurious while helping your beautiful eyes stand out, Hair Essentials Salon Studios can help. We offer Sable Extensions that are made out of actual fur, Mink extensions made of Chinese or Siberian Mink, Faux Mink extensions that are made with a synthetic material, Silk extensions, and more. You are far too busy to spend an excessive amount of time in the bathroom mirror. When getting ready for the day, wouldn’t it be nice to forget about your eyelashes for once? Instead of putting them on during the day and taking them off at night, why not visit Hair Essentials Salon Studios for a professional eyelash extension application that will give you that dramatic effect while making your eyes pop. You have a few choices when it comes to eyelash extensions. Your choice may depend on the look you want to present, as well as the quality of the eyelash extensions. Whatever type of extensions you choose, you can bet that they’ll look terrific on you. These professional eyelash extensions are created from sable fur. They are extremely lightweight and are considered the thinnest eyelash extensions available. Sable extensions are easy to apply and look natural. The cost of Sable eyelash extensions may be prohibitive for some customers. Made from actual mink fur, these eyelash extensions look natural and are worn by celebrities like Beyoncé. These extensions are thin, easy to layer and help to create a full look. Similar to the Sable eyelash extensions, these can be expensive. They also require re-curling when they get wet since they are made from actual hair. For a more affordable option that looks like actual fur eyelash extensions, we offer Faux Mink extensions in Ann Arbor and Ypsilanti, MI. These eyelashes look natural and are incredibly simple to maintain, even if they get wet. These eyelash extensions are created from synthetic fibers. These extensions are also cheaper and thicker at the bottom while they tend to be thinner on top. These professional eyelash extensions give the illusion of a fuller lash line without putting too much weight on your own, natural eyelashes. These eyelash extension applications are cheaper than other types of extensions and are also easy to maintain. If you are on a budget, synthetic eyelash extensions will provide the level of dramatic flair you expect. These extensions can be worn for any occasion, as they are full and thick while also adding a bit of weight. In fact, these tend to be the heaviest of eyelash extensions, and if they’re not properly applied and maintained, they can ruin your own natural eyelashes. People will know that you’re wearing synthetic eyelash extensions, but these are ideal if you have limited funds and want a professional eyelash extension application. When you want a makeover, you have many options. You can change your hairstyle, wardrobe, and even your hair color. However, eyelash extensions applied by a professional can boost your appearance, even if everything else stays exactly the same. Many women find that their eyelash extensions make them look and feel more attractive, and yet the application process is so easy and affordable. Many women, in fact, wonder why they didn’t opt for eyelash extensions sooner, given just how good they look wearing them. Many people who get eyelash extensions marvel at how many people compliment their eyes after having the lashes applied. With long and luxurious lashes, the colors of your eyes will truly stand out. Depending on what type of lashes you select, you could find the beauty of your eyes getting noticed by everyone you meet. When you look good, you often feel good. Getting quality eyelash extensions applied can boost your appearance in all new ways. This increased attractiveness can help you stand a little straighter and carry yourself with greater self-esteem. When you feel so much better about yourself, you can find other aspects of your life improving, as well. When you look and feel your best with eyelash extensions by a professional like Hair Essentials Salon and Studios, you can potentially find yourself getting greater results at work. You may find that your sales increase or that your customers react to you a little better. When it comes to eyelash extensions and confidence, they just might be the best thing you could have asked for when you want to get ahead professionally. Whether you’re single or attached, you’re sure to gain all the right attention with stylish and quality eyelash extensions. They say that the eyes are the windows to the soul. With eyelash extensions causing your eyes to really pop, those suiters will surely find you just as attractive as you hoped. If you’re attached, the one you love most is sure to notice your new eyelash extensions, leading to more heat in the relationship where it matters most. You likely spend enough time putting on makeup and getting ready in the morning. Wouldn’t you love to save valuable time that would otherwise be spent putting on your own eyelash extensions? When you have eyelash extensions applied by a professional like the ones at Hair Essentials Salon and Studios, you can ensure that your lashes will remain stylish and beautiful for as long as you expect. This means that you don’t have to do a thing other than wear them with pride and take solace in the fact that you got the most professional eyelash extensions at a price that fit nicely within your budget. Wearing do-it-yourself eyelash extensions causes you to have to take them off before you go to bed. With professional eyelash extension applications, your eyelashes will stay put. With the proper maintenance, your lashes will stay nice and you’ll be able to go to sleep a little earlier than usual. When you want long and luxurious lashes, only nature didn’t grant them to you, professional-grade eyelash extensions can do the trick. Now you can look just like you were born with enviable lashes that are in any style you wish. With Mink and Sable eyelashes and synthetic eyelash extensions, you’re sure to find a type you like and one that fits within your budget. If you want a boost to your appearance and self-esteem, work and love, you owe it to yourself to schedule an appointment for professional eyelash extensions today. We have an appointment ready for you. 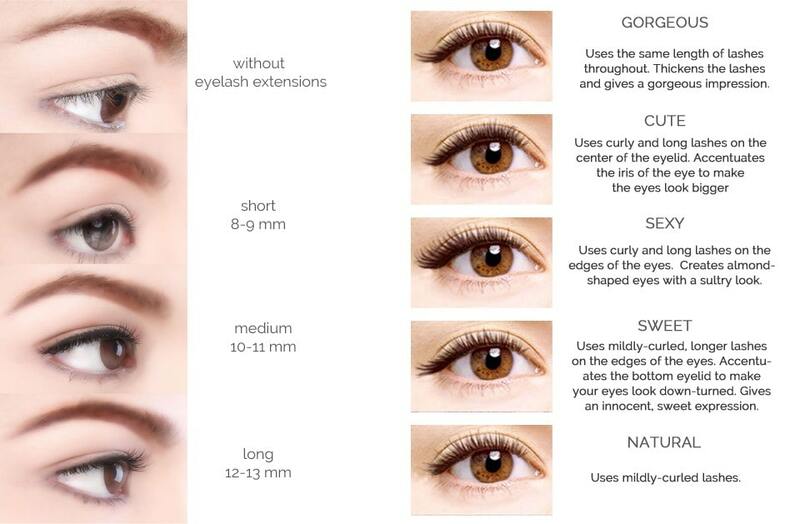 We’ll allow you to select the style of eyelashes you want so that you can attain the look you prefer. Whether you have a special occasion coming up, you weren’t born with long lashes but you want them so very badly, or if you want affordable lashes in an easy application appointment, schedule your first appointment today. Many people don’t know that there’s an eyelash extension salon near their home or office. If you live in and around Ann Arbor and Ypsilanti, Michigan, we offer professional eyelash extension applications that will leave you looking and feeling your very best. We have many styles and materials to choose from and our prices vary, so you’re sure to find eyelash extensions you can easily afford. Visit Hair Essentials Salon and Studios, where you’ll be able to take advantage of professional eyelash extension services for an all-new lease on life. Once you’ve chosen a type of eyelash extension that you prefer, your next step is to find a trained and experienced eyelash application technician. Finding a good eyelash extension technician is critical if you hope to prevent future problems. An untrained technician might stick one of your false eyelash extensions to a bunch of your own natural lashes. When this occurs, you can experience clumping and damage to the integrity of your natural eyebrows. People who have clumping and other problems often pick at their eyelash extensions. This might cause you to pluck out some of your natural eyebrows and will lead to an unnatural look that will only add to your frustration. If you live in and around Ann Arbor, Michigan, we are the professionals to call when you want luxuriously-long eyelash extensions in a clean and hygienic environment. It is very important to have your eyelashes extended in a clean area, as this helps you avoid infection. Our eyelash extensions come highly-recommended, and many of our clients return again and again to have the eyelashes of their choice applied with expert precision. You can improve the beautifying effect and length of life of your eyelash extensions with proper maintenance. Try to avoid getting the extensions wet during the first 24-hours. This ensures that the adhesive remains in place. If you get water on your extensions before the adhesive has dried, this could end up loosening the extensions, causing them to ultimately fall off. Once the 24-hour period is finished, you can shower as usual. You can even take baths and go swimming, as long as you don’t rub your eyes too hard after being in the water. You can apply mascara to your eyelash extensions but do so sparingly and only at the tips. This allows you to wipe the makeup off easily before going to bed. You are encouraged to avoid putting mascara at the base of your professional eyelash extensions, as this can cause climbing, breaking, and shedding. If possible, you might want to avoid mascara together to keep your lashes looking great for an extended length of time. The more skilled your eyelash extension technician and the higher-quality your extensions, the longer they will last. Proper maintenance is key to making your lashes last as long as possible. However, even with maintenance, you will still need to touch-up your lashes every three to four weeks. This is the normal eyelash growth cycle and the eyelash may come off on its own. Keep in mind that few people have the same eyelash growth cycle. Ask your Ann Arbor eyelash extension technician for details. Now that you know the various types of eyelash extensions and that you have the services of a skilled and experienced professional eyelash extension professional right here in Ann Arbor, your first choice should be Hair Essentials Salon Studios. We have eyelash extension professionals standing by to take your call. We can answer your questions and set you up for your first appointment. During that first time in the salon chair, you’ll be able to select the type and style of lashes you prefer, and you’ll be well on your way to creating an all-new you. Give yourself the makeover you deserve and schedule your appointment for professional eyelash services you’ll love to wear around. We can give you the eyelash effect you want at a price that will fit your budget. The first step is a phone call. Just wait till you see how easy it is to have professional eyelash extensions applied by a salon expert at Hair Essential Salon Studios in Ann Arbor, Michigan.